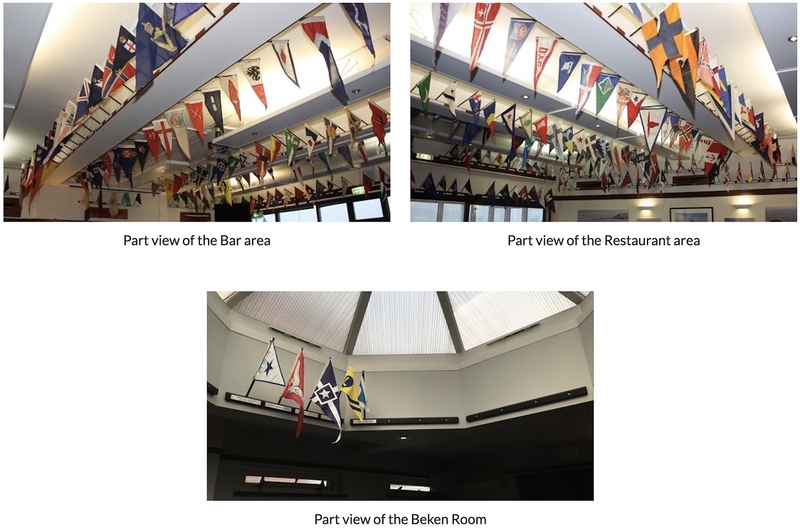 These pictures show general views of the club's collection of burgees given to the club by visiting yachtsmen over many years. They have all been photographed and catalogued and full information can be viewed via this link which will take you to the Burgee Collection page. The Burgee Collection is also available as a hard copy version held in a Photo Album. This can be seen in the Beken Room within the Club.